Born in Shizuoka-Prefecture in Japan in 1945. Graduated from Hitotsubashi University, Tokyo, Japan with Commerce major. Attended the Stanford Executive Program at Stanford Business School in 1987. Joined Sony in 1969; Marketing Manager at Sony UK and deputy general manager of Advertising Division at Sony HQ. Branded the Sony Walkman worldwide in 1979. Established Ueyama & Associates, Inc. in 1983 and has done international business consulting, writing, translation, lectures, production of TV commercials, hosting of many TV programs etc. 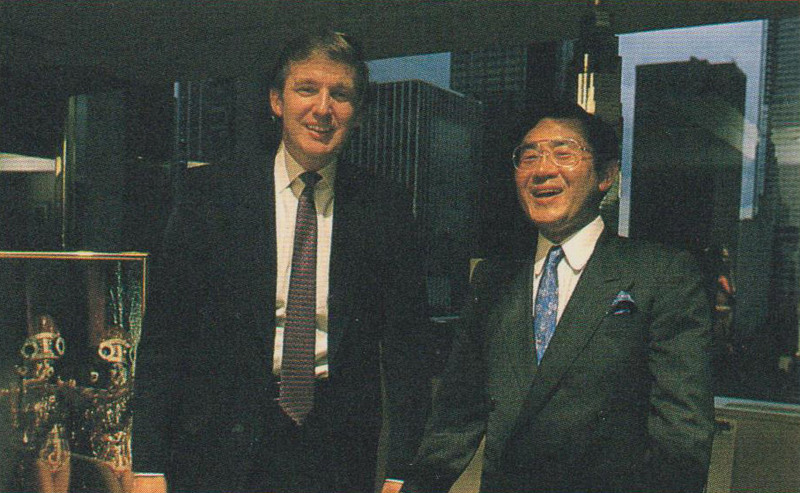 He is the only Japanese who interviewed Donald Trump in 1988 for his regular TV program on TV Tokyo. 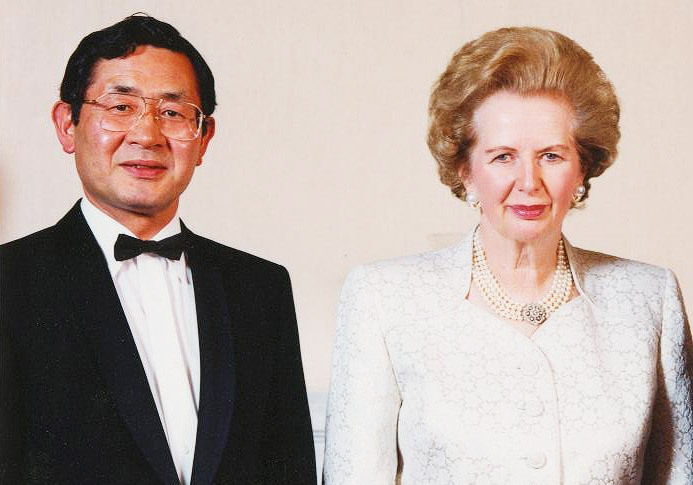 Has represented ex-Prime Minister of Great Britain, Margaret Thatcher(1990 – 2000) in Japan, invited her every year and arranged lectures, charity events, visits to the Imperial Palace and the Prime Minister's office etc. Has published 47 books including the translation of “Losing My Virginity”(Richard Branson’s autobiography). He lectures at his alma mater, Hitotsubashi University in Tokyo since September 2013 on Global Business and at various corporations. 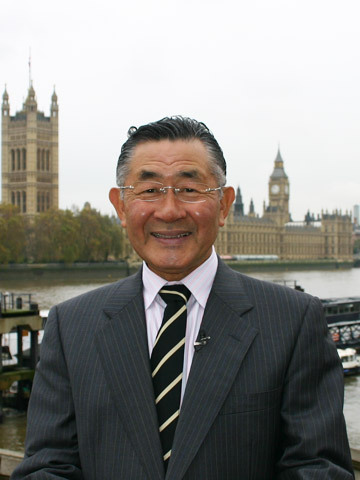 Attended with his wife Lady Thatcher’s funeral on April 17th, 2013 on British Government’s invitation as the only Japanese civilians. Advisor to Fujii Denko Co., Ltd., Yomiuri IS and Yusei Audit Company. Lives in Tokyo with his wife. Has just published “Predictions for the U.S./Japan relationship under President Donald Trump” in Dec. 2016 which is his 47th book. Appeared in many TV shows as a guest commentator for being the only Japanese who has interviewed with President Donald Trump on June 13th, 1988. Hobby is golf with a handicap of 12. 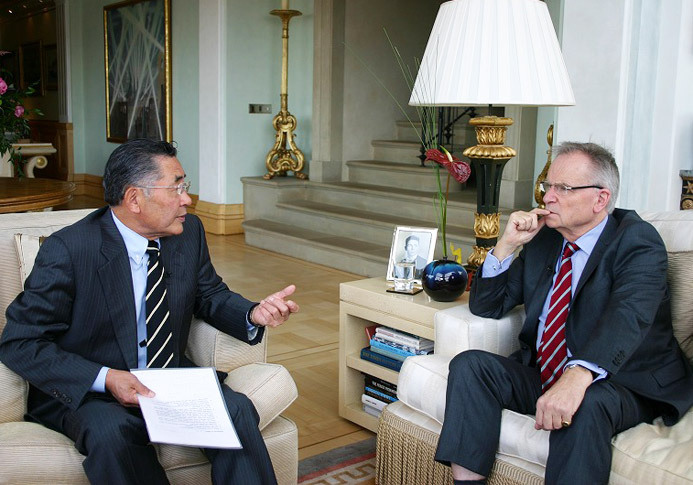 With Lord Jeffrey Archer, a very good friend since 1988, at his Penthouse in London.